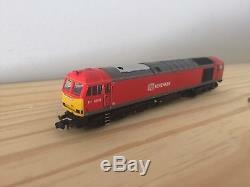 Graham Farish by Bachmann N gauge class 60011 DB shenker livery. Nice, boxed condition, one buffer beam needs clicking back into place, DCC fitted, unopened detailing pack. 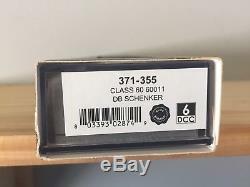 The item "Graham Farish 371-355 Class 60 60011 DB Schenker, N Gauge 6 DCC Fitted" is in sale since Thursday, July 12, 2018. This item is in the category "Collectables\Model Railways & Trains\N Gauge\Locomotives". The seller is "mdtotallytrains-8" and is located in Ellesmere Port.